I think my inkjet printer is about ready to die… Between printing GP-7 permit applications (fodder for another post), and a 700 page photo-intensive portfolio, it’s gone above and beyond the monthly duty cycle. 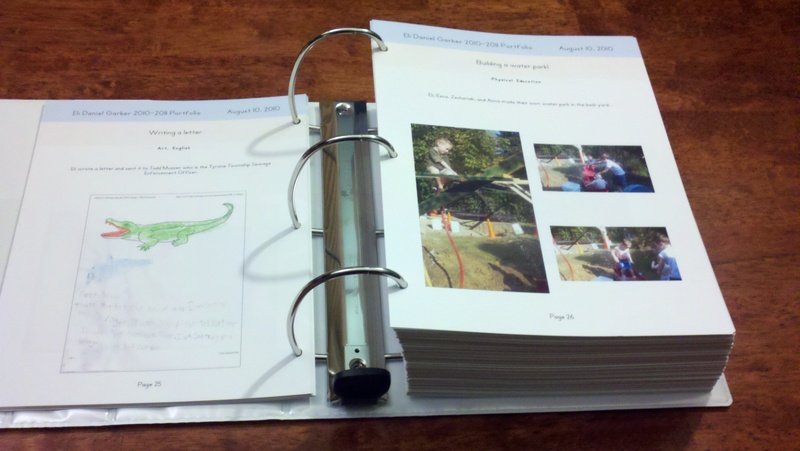 Here is a photograph of the finished portfolio in a 5″ binder printed on 48lb double sided matte photo paper. It is really neat to look at and remember everything we did this year. This entry was posted in Engineering, Fun, Interesting, Photography, Projects and tagged Home School, Home School Portfolio, Homeschool, HomeSchool Software, Portfolio, Software. Bookmark the permalink.